Indian Premier League (IPL) is one of the highly awaited cricket events across the world and every year the craze of cricket enthusiasts reaches of the peak, with their favorite players exhibiting extraordinary knocks at the ground. An interesting fact associated with the IPL is that it has not only fascinated the cricket lovers within the globe but has also attracted corporate houses to associate with it and promote their products. 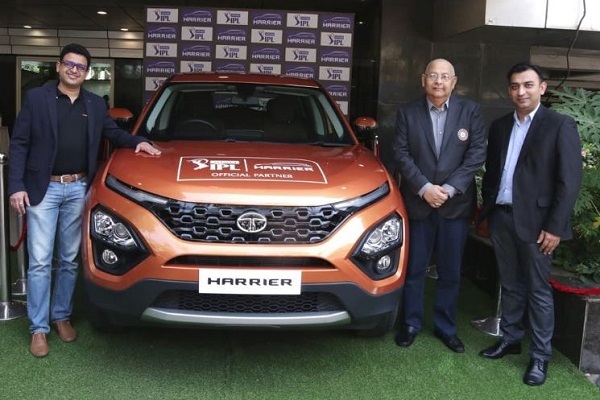 Taking the advantage of this strategy domestic car maker Tata Motors has announced its recently launched SUV Harrier as the official partner of upcoming VIVO IPL 2019. According to the reports, the home grown carmaker will exhibit the Harrier at different stadiums where the matches would be played, followed by various interesting activities. Along with this, the SUV will also be partnering during the IPL Trophy Tour that would be organized in different cities, where the matches would be organized. Talking about the activities that would be organized during the execution of the contest will include Harrier Super Striker Awards, wherein the player with best strike rate during the match will be honored with Harrier Super Striker Trophy and the cash award of Rs. 1 lakh. The batsman with the best strike rate during the tournament will be awarded Tata Harrier SUV to drive home. While talking about the different activities that would be organized during the IPL, the Tata Motors is also going to organize the Harrier Fan Catch, thus offering the audiences to a chance to win Rs. 1 lakh by taking a catch with a single hand.